Mr. Simon and his associates have been handling wrongful death lawsuits in the Athens Georgia area for 20 years. If you are dealing with the loss of a loved one and are tirelessly searching through pages of legal websites for answers, there are some essential things that you need to know. There is a strict set of laws governing who has the right to bring a statutory wrongful death lawsuit. If the decedent is married, the spouse controls the choice of a lawyer, even though the proceeds must be shared with any children equally. If they are unmarried and have children, then the other parent can bring the case on the child's behalf. If there are no children, then the parents of the decedent control the case. If none of these situations applies, then no legal action can be taken until a court appoints someone to act as the statutory wrongful death representative. Although you are likely grieving, you need to hire an attorney promptly because evidence disappears and other claimants can come forward who may reduce the available insurance coverages. A wrongful death attorney in the Athens, Georgia area will review how the death occurred and deploy an expert collision reconstructionist to the scene and take pictures to confirm the evidence. Typically, Georgia wrongful death attorneys will also send letters warning the at-fault driver and their insurance companies not to allow the evidence to “disappear,” and this practice protects the client in case the evidence later does disappear. If there are numerous people injured in the accident, you need to move with haste. In high velocity impacts, there are frequently multiple serious injuries. For example in a case involving a U.G.A. student who was killed in the end of 2010, there were four serious fracture injuries, two wrongful death claims, and only three minor insurance policies available. Within three days of being hired, we sent demands for the limits of each of the insurance companies and beat many of the other claims to the punch. If the family had waited to hire counsel, the other injured parties would have used up the available insurance. Most of the lawyers you see on TV are ineffective and advertise because no one would go to them otherwise. I don't mean to be rude, but its generally true. Phone a friend who has been a customer and they will tell you about the lack of interaction with the actual lawyer. They use case managers and do not spend one on one time with the client. Before you decide who to hire, you should interview at least two or three attorneys in person. Also, inquire as to whether the lawyer has actually filed and litigated wrongful death cases before and what the results were. Additionally, inquire about his current cases and what phase they are currently in. Finally, ask the lawyer if you can speak with his clients. Prior to meeting with the lawyer, you should have a general understanding of the fundamentals behind the law. Please continue reading on our main firm page for details; just click on the Atlanta Georgia wrongful death page on the home office's site. Following the accident, the mother of the decedent brought a wrongful death action against the bus driver and the school district, asserting various negligence claims against both. At the conclusion of discovery, the bus driver moved for summary judgment on official immunity grounds. Prior to the court’s resolution of the motion, the plaintiff and defendants entered into a stipulation acknowledging the driver was entitled to official immunity but waiving immunity to the extent recovery was possible through the school district’s insurance coverage. The stipulation made a similar acknowledgment with respect to the school district’s sovereign immunity with an analogous waiver pursuant to recovery from the insurer. The court accepted the stipulation and granted the motion for summary judgment. However, the defendants obtained leave of the trial court to file a second motion for summary judgment, arguing that the stipulation into which it had entered was ineffectual absent a statutory waiver of immunity. The trial court denied the second motion for summary judgment, and the defendants brought the current appeal.The defendants’ argument on appeal addressed two distinct issues: 1) whether statutory authority already waived sovereign immunity to the extent the School Board carried insurance coverage for the injury at issue; and 2) if statutory authority had not already waived immunity, did the stipulation effectuate waiver of immunity? The Court of Appeals decision focused only on the first issue. Indeed, O.C.G.A. § 33-24-51 allows “[a] municipal corporation, a county, or any other political subdivision . . . to secure and provide insurance to cover liability for damages on account of bodily injury or death resulting from bodily injury to any person . . . arising by reason of ownership, maintenance, operation, or use of any motor vehicle” and further that “governmental immunity shall be waived to the extent of the amount of insurance so purchased.” Although the defendants noted that a separate statutory provision, which is referenced in O.C.G.A. § 33-24-51, exempts local school boards from the definition of “local government entities,” the court found that this exemption did not apply to the waiver of immunity provided under O.C.G.A. § 33-24-51. Thus, the court held that there was statutory waiver of sovereign immunity. As a result, the defendant’s second issue need not be addressed. The scope of immunity is always of fundamental importance when one sues a governmental actor. Indeed, arguments related to immunity, both in its scope and its applicability, are often as important as those directed toward the merits of the underlying tort claim. Even though most laypeople have a rudimentary understanding of negligence and other tort actions, the complexities of immunity doctrine can present problems that many would find difficult without the aid of competent counsel. Accordingly, if you’ve been harmed in a possible case of governmental negligence, you should deeply consider enlisting the assistance of counsel experienced in governmental liability claims. The Georgia wrongful death attorneys at Christopher Simon Attorney at Law have many years of experience litigating negligence claims against state and federal governmental entities and are ready to provide you with the guidance you may need. Feel free to contact us for a free case consultation if you are interested in hearing about the services we can provide. In a recent Georgia Supreme Court decision, a high school student's parents filed a Georgia wrongful death lawsuit against the student's teacher after the student died. The case arose in 2008, when the teacher at a high school left the classroom. The classroom shared a common entrance with another classroom. The defendant teacher asked the other teacher whose classroom shared the entrance to listen for her class when she left. The other teacher couldn't see into the classroom from his seat.While the teacher was gone, the decedent, a student, and another student started playing around. The other student fell on top of the decedent, who collapsed and fell unconscious. When the teacher came back, she called 911. Emergency responders took him to the hospital, where the doctors pronounced him dead. He'd died from blood loss because a broken bone lacerated a major blood vessel. The principal called the teacher and others into his office to figure out what had happened. The teacher lied and said she was in the class the whole time. Later, the principal learned this wasn't true. An independent company looked into it and found the teacher was away from her class at the time of the injury. She later would testify she left to go to the restroom, although she gave contradictory explanations about the lie at the time. The faculty handbook stated that the students weren't ever to be left in a classroom unsupervised. The handbook didn't define supervision. The principal testified this indicated teachers should have close proximity to students, and he thought the policy was clear. He admitted there could be circumstances that required a teacher to leave the class for 15 minutes. He also stated that a teacher could supervise even without being able to see into the classroom, as long as he could hear what was going on.The parents sued the teacher and others for wrongful death. They alleged she'd negligently supervised her classroom and was liable as an individual for leaving her classroom unsupervised in violation of school policy. The lower court granted summary judgment to the teacher, concluding that the allegations of negligence involved a duty to supervise students in class, and this absence was a discretionary act entitled to official immunity. The appellate court affirmed. It held that well-established precedent clarified that decisions related to class control were discretionary, and for this, teachers are owed official immunity. 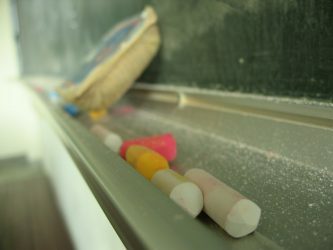 The parents petitioned the Georgia Supreme Court for review, asking whether the appellate court had erred in concluding the class teacher was entitled to official immunity. The Court reasoned that public employees can be subject to lawsuits for negligent performance or nonperformance of ministerial functions or when they act with actual malice. Discretionary acts only subject a teacher to liability if they are performed with actual malice or intention. When there's no proof of intention or malice, the determination of whether official immunity bars a lawsuit against a defendant turns on whether his actions can be construed as discretionary or ministerial. This is a case-by-case determination. Even in the context of usually discretionary functions, a policy, law, or statute can establish a ministerial duty.The Court reasoned that the handbook language and the principal's testimony indicated that there was a policy at the school for teachers to use their personal judgment in deciding whether to leave a classroom. This was meaningful discretion. The school policy wasn't so definite as to require of the teacher a simple, absolute action. It noted that this didn't mean there could never be a student supervision policy that was so definite an employee's acts would be construed as ministerial. Since the actions here were discretionary, and there wasn't any evidence of actual malice, the teacher was entitled to official immunity. The granting of summary judgment for the teacher was affirmed.